Discussion in 'Who is Who - The Team' started by danda-vnovis, Nov 27, 2018. Greetings for all board users, I am danda-vnovis from EN/CZ/SK team, global team leader for Farmerama and support for EN/CZ/SK users and new moderator on English board. I will be here to support you in your daily questions and to give you help hand by solving your troubles. Some of you maybe know me from other games too, especially Farmerama, where I work long time as board admin, now GTL. Do not hesitate to ask, I am here for you. Zdravím srdečně všechny uživatele fóra, jsem danda-vnovis z EN/CZ/SK teamu, gtl pro hru Farmerama a podpora pro EN/CZ/SK uživatele a nový moderátor anglického fóra. Jsem zde především proto, aby vám pomohla s vašimi dotazy a podala pomocnou ruku při řešení vašich problémů. Někteří mě již znáte z jiných her, především však z fóra Farmeramy, kde jsem již opravdu dlouhou dobu administátorem, nyní GTL. A proto neváhejte se zeptat, jsem tu pro vás. čača831, donademene, Heïva and 5 others like this. 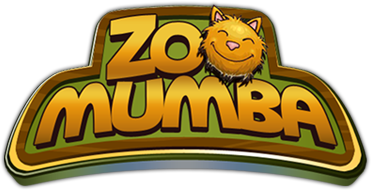 I am pleased to have you here in the ZooMumba Team. Your help will be very much appreciated. donademene, KacperGamerv1, perezoso and 3 others like this. It is nice that you have come into our Team. donademene, perezoso, The Scorpion and 2 others like this. It is good that you have joined our Team. Isaboo, donademene, danda-vnovis and 3 others like this. Isaboo, donademene, KacperGamerv1 and 4 others like this. čača831, Isaboo, danda-vnovis and 1 other person like this. Ahojík Nezmarko, moc děkuji za krásné uvítání. Udělám pro vás maximum, abyste se tu cítili jako doma. čača831, The Scorpion, PerryPenguin and 1 other person like this.